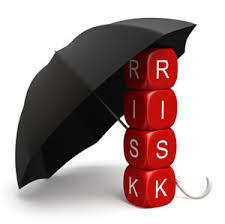 How big of an Umbrella Insurance policy do you need? You Are Here:Home / Auto Insurance / How big of an Umbrella Insurance policy do you need? Contact Smith Insurance in Rochester NY Today for your Umbrella Insurance needs. An umbrella insurance policy from Smith Insurance in Rochester NY is extra liability protection on top of your normal car insurance and home/renters insurance policies (it can also provide additional coverage for your boat, motorcycles, campers, rental properties, and more). It is easy to assume that only someone with a lot of money would need that much insurance coverage, but you’d be surprised at how important and inexpensive that policy can be for most policy holders. For two cars and one home, the rates can be around $150-$200 dollars for an extra coverage that can save your financial future. You might think to yourself: I don’t have a million dollars to lose, I don’t need an umbrella. Unfortunately, if you are sued for causing bodily injury or property damage, you can be sued for more than just what you have in the bank. Your retirement funds, investments, savings, and even future earnings are at risk. If you would like to learn more about how an umbrella policy can protect you and your family, please don’t hesitate to give us a call! Is your Jewelry Covered by Homeowners Insurance?